In Shri Kali we understand that every person lives their own experience and journey, their Dharma. Here you can get to know the beautiful people from the Shri Kali Community. Charlotte is a journalist from Paris, who dedicated the last 15 years of her life to searching for answers with many masters, travelling to many ashrams, and as a natural byproduct through her work, she had the chance to interview well-known Yogis and Tantrikas. However, it wasn’t till she met Bhagavan and spent six months in Shri Kali, that she understood her quest. Now with more ease in her life, she resides in the bustling city of Paris where she teaches this system and has just recently studied in depth, a unique form of massage that she will be offering soon. Sinem is a Turkish clinical psychologist exploring how the Tantric tradition and yoga can improve peoples lives. Tom is a German geology professor and after years of university life is now going deeply into the science of Tantra. Melania is an Argentinian journalist and yoga teacher living in Madrid. After several years with us, she teaches and conducts workshops on the Kaula system around Spain. Gabriela is a Swiss trained psychiatrist, integrative body psychotherapist and reconnective healing practitioner. For many years she practiced different styles of Yoga and found within the traditional Kaula that progression happens through being yourself and letting go of tension. Sabine teaches yoga in France, Paris. She came to Shri Kali to try a different type of yoga and found a new world of Tantra philosophy that she is happily sharing now with her students and friends in Paris. Sandra is an Kaula Yoga teacher from Dublin. She divides her time between teaching back at home and studying at Shri Kali. Madhu is from New Delhi. She is a young woman with a non-defensive attitude towards religion and social culture. This also makes her one of the few Indians willing to accept the ‘bareness’ of the Tantra system. She brings lightness and fun to any social setting. Madhu currently lives within the Shri Kali community and gives her time to the Shri Kali Ashram. Lilia is a long-term student of Bhagavan’s from Moscow, who has been living in Goa for many years with her young daughter. Starting out for the first year in Shri Kali, she did only the asana sequence without diving in to any of the deeper studies, as her daughter was only a year old at the time. This gave her a foundation of steady happiness to live her life. Currently she is deepening her wisdom in the philosophy and hopes to go forward with her studies in Sanskrit as well as translate Divine Initiation in to Russian. Ida is a Polish natural artist, that adopted London as her home. On her travels she finds the time to sing in bars and concert houses, do yoga and explore the city. Davis from Washington DC is engaged in the mindful pursuit of life. Whether he is cruising down Indian roads on a motorbike, engaging in Panchakarma practices or studying the depths of Tantric philosophy, he does this in his own uniquely methodic and humble fashion. 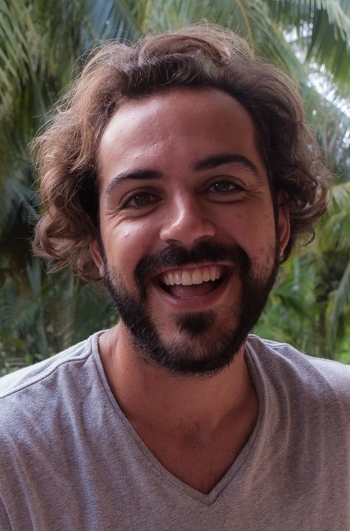 Mikael is a Danish Tantra enthusiast, with experience in several Ashrams and since 2013 he has been going deep into the traditional system at Shri Kali Ashram. He divides his time between teaching back at home and studying at Shri Kali. Zeid left the corporate world in search of more truth about life and the world around him, with the intention that he would be traveling and searching for answers for a while. However, Shri Kali was his first stop and he happened to find exactly what he was looking for. He has returned home now to marry his love and continues to lead a Tantric lifestyle. He is now teaching this system in Dubai and recreating his life from his own true desires. LeLa and Tillie are two Shri Kali students that have recently joined forces to bring the Kaula Tantra Yoga system to Seattle. Tillie, in only a month’s time, knew she was meant to share the system and went back to Seattle and immediately had a large group of practitioners. LeLa, also only here for a month, struggled at first with allowing herself to relax in this system. Suddenly one day, the system began to work for her and she fell in love. She knew at that point that she would also have to share and so she returned to Seattle and within one week, she had met Tillie and they created Shri Kali Seattle. LeLa will also be returning to Shri Kali with a retreat group and then she will return to Seattle to continue sharing this system until Tillie returns. Mayara is an environmental specialist and yoga lover traveling the world and flowing between these two passions. She is currently studying the Tantric Tradition. Elise has studied in Shri Kali for 6 months. Elise is a Kiwi currently working and traveling her way around the world on a self-proclaimed pilgrimage, on the quest for living integration, good food and inspiring company. Elise has a professional background in Traditional Chinese Medicine. Marcela is from Colombia. She is currently residing and teaching yoga in London. Marcela came to Shri Kali to learn how to share love and she is doing that every day as a teacher and as human being. Torsten is a man who grew up loving math and science, eventually becoming a nuclear physicist. But at some point he realized that as much as he loved science, it wasn’t giving him the answers about self and why we are here. He found Shri Kali in his search for answers and in his search for a cure for a physical ailment that he had had from childhood. Now he lives a much more relaxed life and continues with his work in a much more relaxed way, also sharing yoga and continuing his practice and study of Tantra. 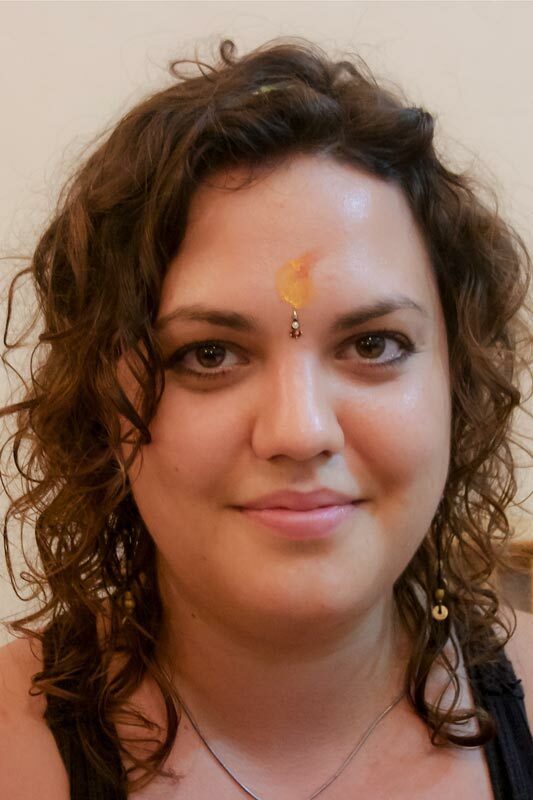 Vikki is a long-term student of Bhagavan’s and just recently returned to Shri Kali after 2-3 years back in Glasgow teaching yoga and working as a nurse. After a lifetime of her questions on existence only creating more questions, she found Shri Kali and finally received answers to these questions and has ever since been filling in the gaps. She returns to Glasgow with inspiration and determination to craft a life, even more suited to her inner desires. She will continue to teach this āsana system and will be bringing Thai Massage to Glasgow as well. Monica is originally from Chicago. She is a free spirit who is currently enjoying traveling the world with her love, Khaled Matar, another Shri Kali Student. They are both serious students of the Kaula system. You never know where you will catch her next. Nicki currently lives, practices, studies, and helps with the community amongst Shri Kali Ashram with her dog, Gaea. She also travels around the world sharing the Kaula Tantra Yoga System through workshops and retreats. If you ever need a hug or simply to be heard Melina is always sure to be there. She has such a daily commitment to her āsana when here at Shri Kali, that it is a true inspiration. At home in Germany she commits to her family’s business and works hard to return for another season at Shri Kali, to immerse herself in the community here. Mette is a dedicated Shri Kali student who spends half of the year on a small island in Denmark with her beautiful family, gardening away and sharing this system with the summer tourists. She spends the other half of the year at Shri Kali. She came, not looking for more than a certificate and then was off to travel the rest of India. She never made it on that trip and stayed at Shri Kali for six months and has been returning every year since. She found answers to health problems that doctors said were hopeless and discovered a whole new way of experiencing herself and the world around her. Are you a student and want to share you story?